Wouldn’t it be cheaper to just buy new crayons? A woman named Emily Skopov started a non-profit organization called No Crayon Left Behind. The charity collects used crayons from restaurants and other organizations and gives them to people who can’t afford them. When the collected crayons are misshapen, Skopov melts them down on her own stove and molds them into new crayons. Skopov said she spends approximately 45 hours a week volunteering for No Crayon Left Behind. In addition, she hired a consultant and has a paid staff as well. She also rents an office. Meanwhile, Wal-Mart sells a box of 64 brand new crayons for $2.94. So here’s my question: Wouldn’t it be cheaper to just buy new crayons? July 12, 2018. Tags: crayons, Economics, Emily Skopov, Environmentalism, No Crayon Left Behind, Recycling. Economics, Environmentalism. 1 comment. Does Alexandria Ocasio-Cortez agree or disagree with the Democratic Socialists of America’s New York City chapter’s call to “abolish profit”? This is a link to a recent tweet from the New York City chapter of the Democratic Socialists of America. And this is a link to an archive of the same tweet, in case the original ever gets deleted. So both the national organization and the New York City chapter both support getting rid of profit. One would think that the lessons of the 20th century would have taught people that getting rid of profit also means getting rid of incentive. But one would be wrong. In Venezuela, during the 21st century, presidents Hugo Chavez and Nicolas Maduro did everything they could to stop businesses and corporations from making a profit from growing and selling food, and the results have been disastrous. In New York City, a self described “socialist” named Alexandria Ocasio-Cortez just beat long term incumbent Joseph Crowley in the Democratic primary election for a seat in the U.S. House of Representatives. Unless something really weird and unexpected happens, there is a near 100% chance that Ocasio-Cortez will be elected to the U.S. Congress in November. I would also like to know if Ocasio-Cortez supports or opposes the policies of Venezuelan presidents Hugo Chavez and Nicolas Maduro, which I describe in great detail in this blog entry. Chavez referred to his policies as “21st century socialism,” and he was constantly saying that it was wrong for businesses and corporations to make a profit. He set price controls on food, seized more than 10 million acres of farmland, and had the government take control of many food processing plants and supermarkets. Before Chavez died in 2013, he had appointed Maduro as his successor. Since Chavez’s’ death, Maduro has continued Chavez’s policies. Because the profit motive to grow and sell food has been eliminated in Venezuela, there has been a very severe, long term, chronic shortage of food. Most Venezuelans lost an average of 19 pounds in 2016, plus another 24 pounds in 2017. 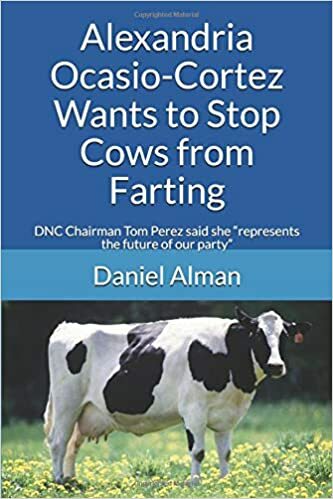 I would like Ocasio-Cortez to please read my blog post, please check out all the links to the sources that I cite to prove that everything I wrote is true, and then please state whether she supports or opposes the policies of Hugo Chavez and Nicolas Maduro that are in my blog post. July 1, 2018. Tags: Alexandria Ocasio-Cortez, Communism, Democratic Socialists of America, Hugo Chavez, Nicolas Maduro, Politics, Socialism, Venezuela. Alexandria Ocasio-Cortez, Communism, Economics, Venezuela. 1 comment.